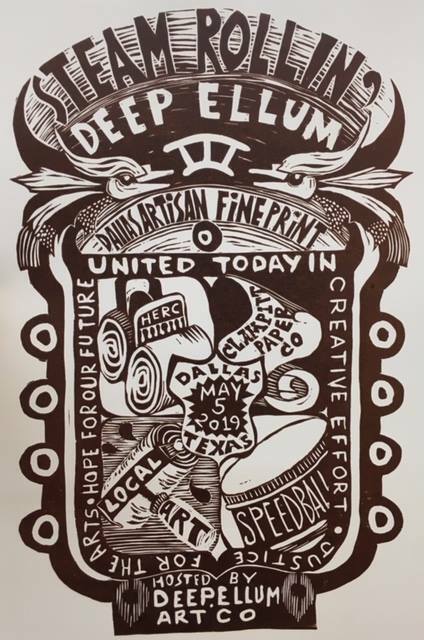 Come meet the North Texas Printmakers Guild and watch us in action as we print 2ft x 3ft relief blocks (woodcuts). The Prints will be for sale through Deep Ellum Art Co. and there will be more work by the artists available too. Sponsored by Terri Thoman Artisan Fine Art Studio.